The demo is probably this week's main attraction! Every one of Capcom's announced arcade titles is out now, which means they don't have anything else coming anytime soon. Nobody else seems to have picked up their slack this week, as there's no new Virtual Console titles, but as expected that means there's a decent amount of games for the other services. Around the World (Wizarbox, 500pts) – A trivia game containing nothing but geography questions, we didn't think this one was too bad, but it wasn't too good either, as our Around the World review will inform you. 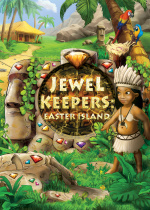 Jewel Keepers: Easter Island (Nordcurrent, 500pts) – WiiWare's umpteenth puzzle game, this one looks similar to Bejeweled in that you have to put three objects of the same colour in a line, but with a few of its own twists. We'll have a review soon. LIT (WayForward Technologies) – A unique puzzle game in which you use light to maneuver through a dark school to rescue your girlfriend. Our LIT review will give you some additional information. Ancient Tribe (CIRCLE Entertainment, 500pts) – A strategy title in which you defend an ancient tribe (How clever) against dinosaurs and the like, we thought that a certain other DSiWare game with nearly the same concept was quite a bit better. Read our thoughts in our Ancient Tribe review. Boom Boom Squaries (Gamelion, 200pts) – An arcadey game, it sounds like this is almost exactly like WiiWare title Sneezies. We'll find out in our review soon enough! Ferryman Puzzle (Engine Software, 200pts) – We have no idea why this one took so long to come out (It was given an age rating almost 2 years ago), but well, here it is! It's a take on the classic puzzle of having to transport a chicken, wolf and a bag of grain across a river without any of them getting eaten, but with its own variations. We'll review it soon. Puzzle to Go Baby Animals (Tivola, 500pts) – If this is anything like the last two games, it probably won't be very good. Keep an eye out for our review! Anything you're interested in this time? I was always interested in Lit, but never got around to getting it. Might as well try the demo out now to see if I've missed anything good. LIT is pretty fun (never could beat the final boss though...). Yoshi's Island is not coming any time soon. We'd know about it weeks beforehand when it does; likely being released in Japan first. Ugh, why are you Europeans getting the better demos! . Lit was actually pretty good. You really have to think carefully before navigating your way through the puzzles of each room. It's a pretty creepy game that makes you use your brain. I also thought it was cool how the phone in certain rooms will ring and when you answer it the voice comes out of your remote. 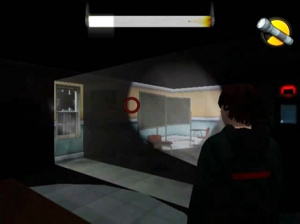 If you've ever liked a horror game or enjoy puzzle solving you'll like it. Will give the LIT demo a crack. Also, was there a Lilt Line demo at one point, or has that been US only so far? That reminds me, I should really download LIT one of these days. Ugh, am I the only one that didn't like LIT? It felt like a completely unpolished game to me. With Lit the graphics are a bit unpolished at times but the gameplay is great and really original. Well designed rooms and a cool horror atmosphere combine really well. I'd consider it one of wiiware's hidden gems so everyone in europe should really try the demo even if you don't like puzzle games or horror. Ok I'm pretty sure that the devs said Shantae would be out in the next 3 to 8 weeks, 8 weeks ago! LIT is definitely one of the best puzzle games on WiiWare. I like the gloomy atmosphere and how the camera switches to first person perspective to view your surroundings and aim at objects. It has 25 Levels and 5 unique boss levels. The last two levels (with the many oscillating lights and the principal) are pretty hard because they require pin point timing, but with a bit practice it's perfectly doable and I've never encountered any problems with the controls. Finally, a demo is available so people can find out for themselves how good this game is. I don't like WiiWare and DSiWare games. I wanted VC games. Already own LIT, great that it gets a demo and I hope it leads to great sales. I bought Jewel Keepers: Easter Island. It's okay, but the controls are pretty sucky and I don't think there is much left to do after the Story mode (Free Play looks pretty pointless). Why is shantae: Risky's revenge late?!?! They said it would be out in 3-8 weeks near the end of November!!! Now the classic but somewhat dated Capcom arcade games are out of the way, can we get Super Hang-On? NL, you're not kidding about the Demo being about the best, cause I've wanted to play LIT for a while now. Hope it comes over here too.